These rankings are based on more than Championship belts, title defences, wins, losses etc. Match results are only a part of the ranking process, which also takes quality and expectations into account as much as anything else. This is just one person’s opinion. 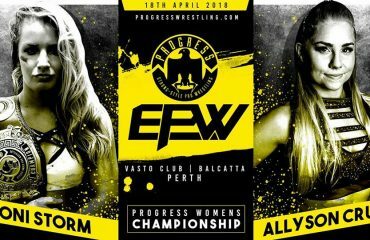 If you disagree with any of the rankings or assessments, voice your opinion on the EPW Facebook page and let us hear what you think they should be instead! No need for any movement here. Slater was the best wrestler in Perth heading into Hot Summer’s Night, and even with a loss, he was the best wrestler coming out of it, too. Next up for Slater: a huge chance to become the new Coastal Champion at The Aberdeen Hotel on March 11. Watch this space. A rock-solid performance as always. It’s a testament to how strong the roster in Perth is that a guy of Pitt’s calibre isn’t number 1. He could be the best in the history of WA wrestling when all is said and done. I’ve always enjoyed Logan Grey’s matches, but that always seemed to have more to do with his opponents than him. I’ve gotta say though, my opinion is quickly changing. His performance at Hot Summer’s Night was absolutely A-grade. I could watch this guy jump off stuff all day long. I feel a bit dirty putting Grey ahead of his more experienced teammate, but it’s only because Grey did a moonsault off a basketball ring and all Kingston did was nail a perfect frog splash off the top of a giant ladder. Hey, it’s tough at the top end of this list. Vice didn’t do a lot at Hot Summer’s Night, and as a result, he slid down a spot. I’m really looking forward to seeing his title match with The Don, whenever that comes about. It was a tough night for the champ. Not only was a date for the title match not locked in, he was also unceremoniously dumped on his head at the entrance stage. The Don needs a big title defence to push past the guys ahead of him on this list. This is a big fall for Storm for me. A loss to Warship was unprecedented in a solid but unspectacular match. He has some big decisions to make moving forward. McGavin leapfrogged the Coastal Champ at Hot Summer’s Night despite the match ending in a DQ. He continues to put on 5-star matches in the mid-card and is the most likely the next breakout guy. There is a huge gap between 7 and 8 on this list, however, so he still has some work to do to get there. My expectations were probably a bit high heading into Hot Summer’s Night, so even though he successfully defended his title, he still drops a spot. 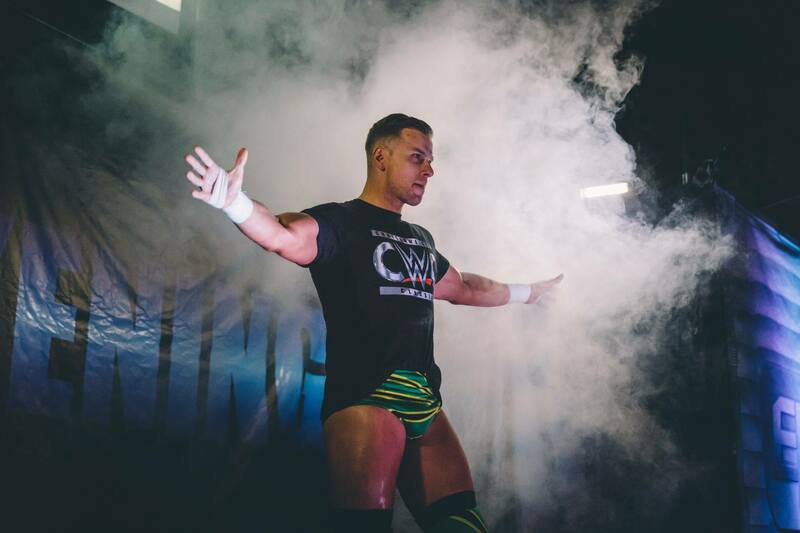 His upcoming match with Damian Slater could go a long, long way for him to climb back up the ladder. If he can carry his own, defend his belt and prove he can hang with the best of the best, he could end up jumping straight into big dog calculations overnight. This is a HUGE match incoming. Ward didn’t put a foot wrong but failed to properly score the win. The real winner of the McGavin vs Ward matchup were the EPW fans as a no-result means HOPEFULLY we’ll see another couple of matches from these two. A very disappointing match at Hot Summer’s Night, but I’ll leave him at 11 because I’m a shameless fan. Steel will want to back it up with something better moving forward if he wants to stay around the top ten. Teaming with Jarrad Slate again has the potential to give him a great boost for 2018. Hot Summer’s Night was definitely not a good night for Gen Zero. Not only did Cruz not get the result, but it also wasn’t in a title defence or a quality matchup. Hopefully the return of Zenith will give her something to sink her teeth into again. Zenith was one of two people scheduled to wrestle at Hot Summer’s Night, but unlike Dan Moore, his disappearance still remains unsolved. Hopefully we will see him back in action soon, otherwise, the tag champs could be sliding down the list pretty quickly. The tag belts have been a bit of an afterthought for a long while now, but after watching The Untouchables Vs The Street Gang Hooligans tear down the house in the main event, I think Cruz and Zenith would’ve been sweating a little. A solid wrestler who put on a solid match as always, plus he picked up the win. I’m unsure of what the future holds, but I would enjoy seeing him wrestle a couple of the guys higher up this list to see if he can hang with the big boys. Dependable Jay Taylor did as Jay Taylor does. I couldn’t ask for anything more of him from bell to bell on show day. I still think he has a lot more to give if he just pushed himself a bit harder though. 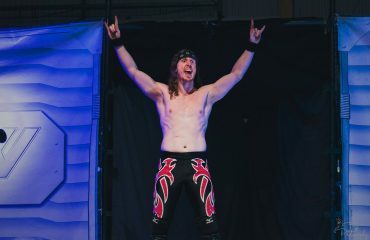 If Kiel Steria had charisma, he would be one of the best wrestlers in Australia. However, he does not so he will have to settle for being the 16th best wrestler in Perth instead. He has an amazing knack for never having a bad match though, which I absolutely love. Belting his tag partner to join back with his former tag partner instantly brings Slate into the top 20. I’m not convinced he’s going to stay here for long though without a hell of a lot of work, but we’ll see. Hot Summer’s Night was a rough start, hopefully his match quality improves once he settles in a bit. A bit of a drop after failing to get the job done against Scotty Ryan. Stuck in the no man’s land of the EPW lower card, the Child Star really needs to nail those opportunities if he wants to remain in the top 20. I honestly feel like he could leapfrog half a dozen spots on this list at any given moment once he works out how to put it all together. The Nacho Friends cannot be denied. Their in-ring work isn’t the greatest, but goddam they’re entertaining. It’s not hard to see why Perth fans love everything they do. I’m fast becoming a big fan of these guys myself.